Taken on my way to work on a frosty morning in December 2010, at NGR SS6346291933. 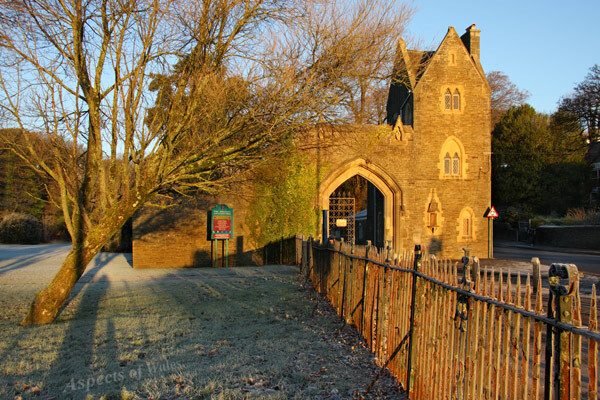 This is the bottom entrance to Singleton Park on the Mumbles Road. Canon EOS 40D, Canon EF-S 17-85mm lens at 22mm, Manfrotto tripod. Exposure F11 at 1/25, 1/50 and 1/13 secs. Original image in Raw format.